TInton Falls EMS South members receive new and refreshed training on our EMS Protocols from our medical direction team. Nominations for the 2015 Officers and Administrative Board are Monday, 3 November 2014 at our Business Meeting. 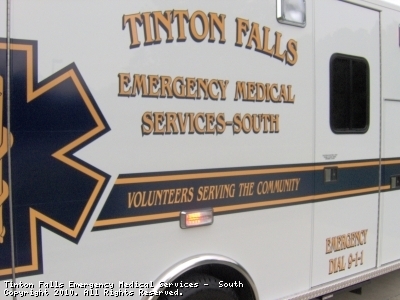 Welcome to Tinton Falls Emergency Medical Services - South! Tinton Falls EMS-South was incorporated on March 1, 1993 to serve the growing population in the southern portion of Tinton Falls. At that time one ambulance was housed in the old Wayside fire house on Green Grove Road. In June of 1995 our new building was dedicated. This state of the art building features an ambulance bay, storage room, wash/shower room, an office, a full kitchen, a meeting/training room and a "squad" room for our members to relax in. While Tinton Falls EMS-South primarily serves the residents of the southern portion of Tinton Falls, we work hand in hand with our sister squad, Tinton Falls EMS-North, to serve all the residents in Tinton Falls, regardless of location. We will assist them in answering calls in their portion of town while they do the same to help answer calls in the southern portion of town. We are extremely grateful for their help and support over the years. In response to a lack of volunteers during the daytime hours, a third squad was formed in 2006. This squad operates from 6AM-6PM seven days a week and is staffed by two paid EMTs. The three squads work in harmony with one another to serve the emergency medical needs of the residents and visitors of Tinton Falls. The squad has always had two ambulances housed in its building. In 2001 the Tinton Falls Police Department donated a police car which they no longer were using for EMS-South to use as a Captain's/first response vehicle. In 2005 the police department donated another used police vehicle to replace the first one. In 2006 and 2007 the squad replaced both of it's original ambulances with brand new PL Custom ambulances. In 2010 we were fortunate to have the Wayside Fire Company donate a Chevy Tahoe to the squad to use as the vehicle for the Captain. In 2014 the squad purchased a new Ford Explorer to replace the Chevy Tahoe. Today, the squad operates two fully equipped ambulances and a command/first response vehicle. Every day the dedicated members of Tinton Falls EMS-South work hard to help care for the residents and visitors of Tinton Falls. These unpaid professionals are there day or night, on weekends and holidays, many times leaving their own families to be there to help someone else's family member in their time of need. We are always looking for more dedicated members to join our squad. Whether you can give many hours each month or just a few, we need you to help us carry on our mission! If you would like to request our services to support your drill (such as an evacuation, relocation, active shooter), special event (Relay For Life, Marathon, 5K Race), sports game (Little League, MRHS Football), or any other special event, please contact us at officers@tintonfallsemssouth.com and we'll respond promptly. Tinton Falls EMS-South is a proud member of the NJ State First Aid Council - 16th District. Are you an EMT? Paramedic, Doctor, or RN? 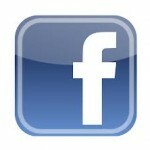 This site has been viewed 49,034 times.